What does God's family look like and are we part of it? Who was Paul and how did God help him change? How can we share God's love with others? Explore these questions and more as you understand more of what a transformed life looks like. Get started on the right foot as you discover who you are and what you're living for. Learn about God with this full colour short book, packed with pictures and activities. Ideal for use by children aged 4-7 alongside Transformed Life by Dave Smith. Transformed Life for Early Years by Dave Smith was published by CWR in June 2015 and is our 16951st best seller. The ISBN for Transformed Life for Early Years is 9781782594420. 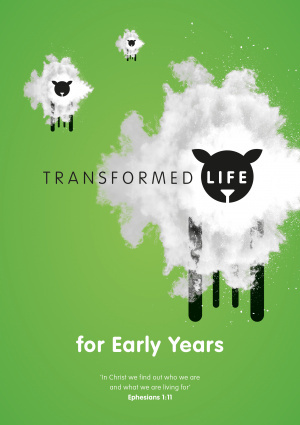 Be the first to review Transformed Life for Early Years! Got a question? No problem! Just click here to ask us about Transformed Life for Early Years.